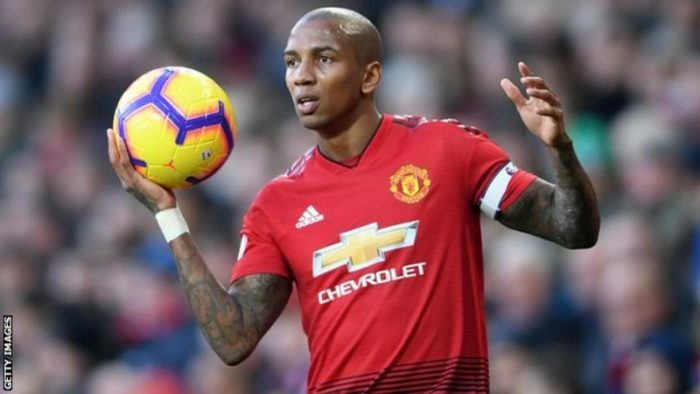 Ashley Young is close to agreeing a new one-year contract at Manchester United. The 33-year-old’s current deal is due to expire in the summer but he is keen to remain at Old Trafford. Talks over an extension began last year and are progressing well, with club officials pleased with Young’s presence in the dressing room and on the pitch. The Stevenage-born player, who started out as a forward but switched to full-back later in his career, has made 228 appearances for United since joining for £17m from Aston Villa in 2011. He is one of only five players in the current squad to have won a Premier League title during their time at the club. Young was also part of the England squad at the World Cup in Russia but has since told Gareth Southgate he only wishes to be considered in an emergency.